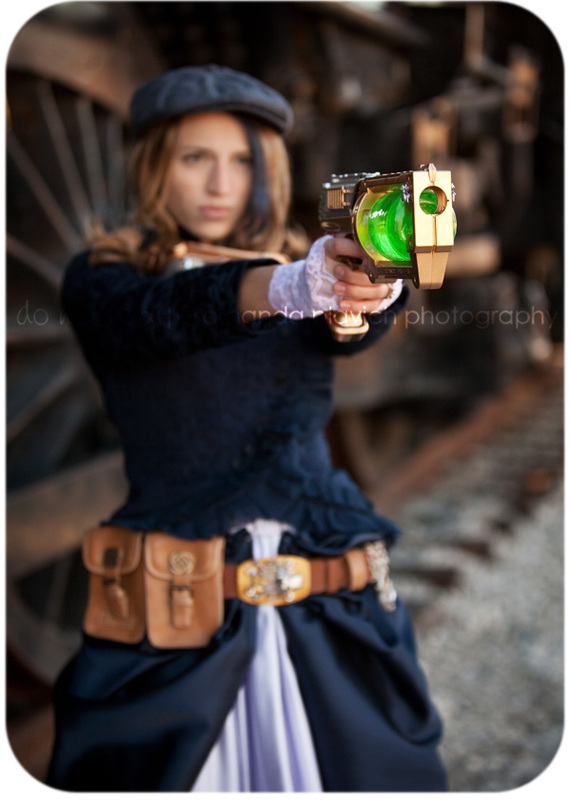 Steampunk gun: a device to blast away all things mechanical and paranormal. Your costume just isn’t complete without one. 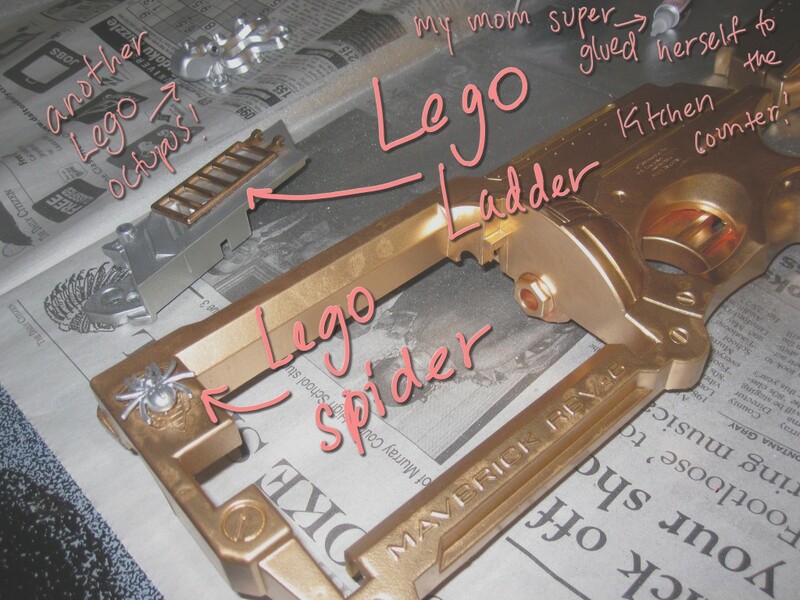 But once you’ve made your steampunk gun, well… Mad werewolf on the loose? No sweat. Giant clockwork kraken at your door? You got this. 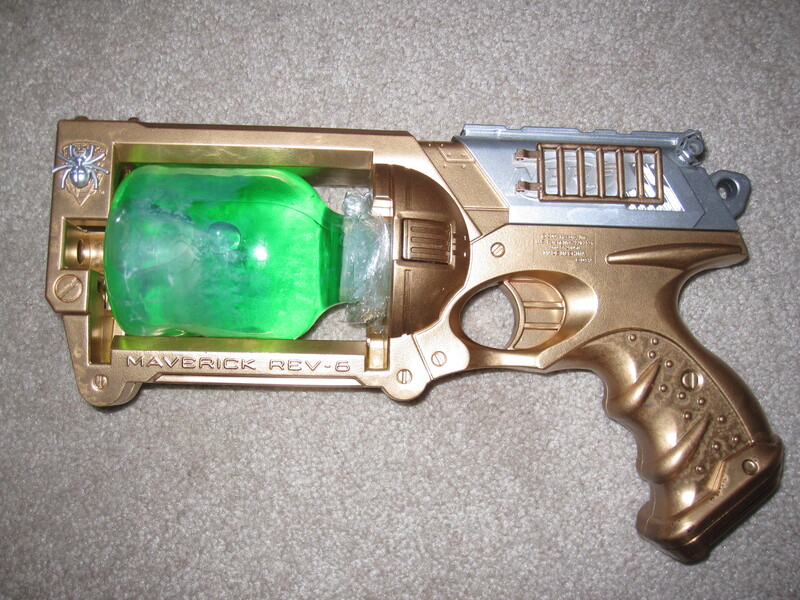 The simplest way to make this gun is to head to your nearest Wal-Mart/Target/K-mart kinda shop and invest in a cheap Nerf gun. 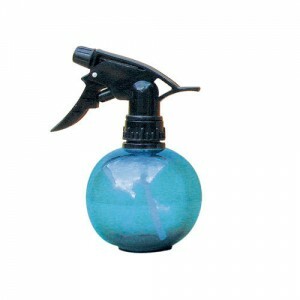 Here’s the one I bought (though I think I only spent about $9), and you’ll notice A LOT of people use the same gun. But there are other rather awesome options, like this. A very tiny Phillips-head screwdriver. Gold and silver embellishments (also like you used for the goggles and the utility belt). First things first, you need to take apart the gun. This is so you can paint it. 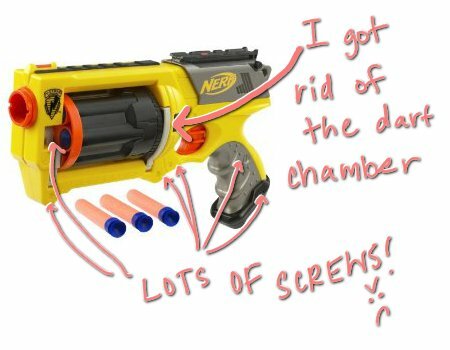 I was dismayed to find there were about ten bajillion parts and screws that I had to remove to separate this Nerf Gun into its basic components. 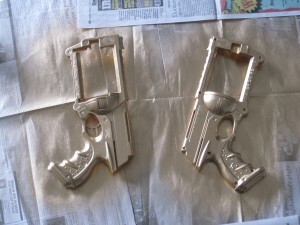 But once you’ve got it all separated, you can lay out the pieces, take your gold and silver spray paint, and go nuts! Let it dry for at least a few hours before handling. I left mine a few days since I knew I’d be grappling with them a lot when I tried to screw it all back together (I’m not a very handy person). While that’s drying, you can set to work on the chamber. Like I said above, I didn’t use the chamber. 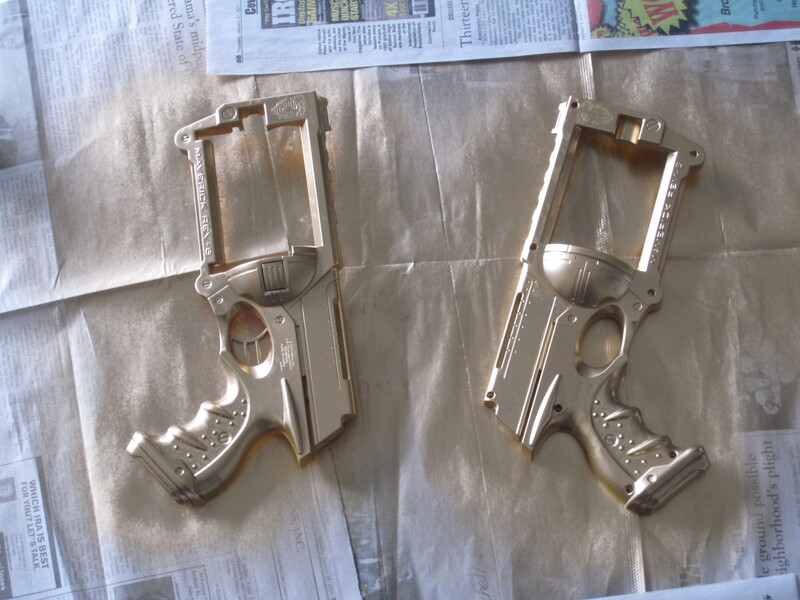 If you want to, all you have to do is spray paint it along with the other pieces. OR, if you’re like me, you can make a crazy new chamber! Out of a bottle! TA-DA! My bottle was clear, so I filled it with water, added 1 drop of green food coloring, and 1 drop of yellow. Then I siliconed the top shut. No leaking! Of course, BEFORE I ADDED WATER AND CLOSED THE BOTTLE, I reassembled the gun to make sure it would all fit! Notice that I had also added Lego embellishments! I placed these strategically to mask the Nerf insignias. Finally, once the silicon on the bottle has dried, it’s time to assemble it all together for a truly spectacular weapon! Mission Accomplished: Steampunk Gun Complete! 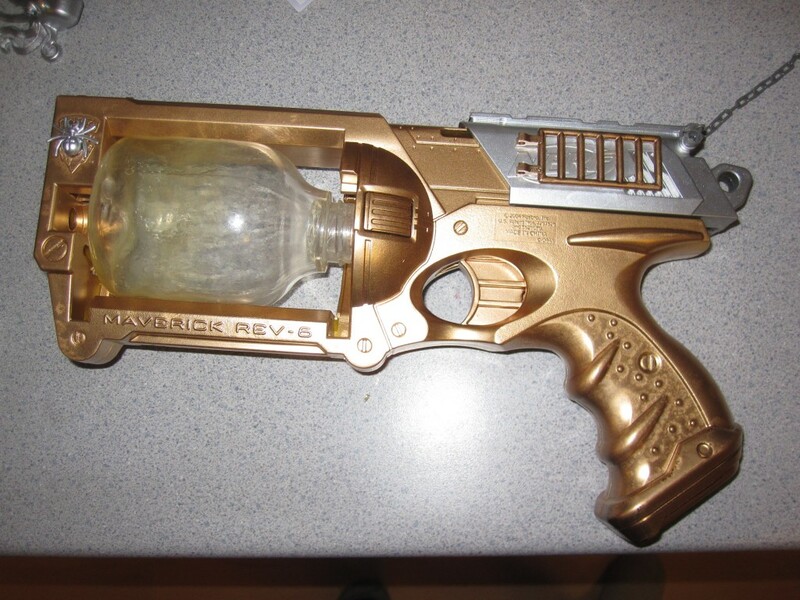 You tell me: Would you ever make a steampunk gun? If so, would you add/change anything?